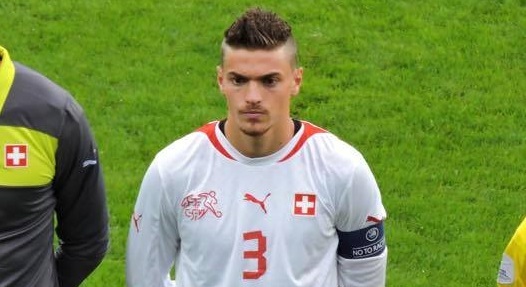 Life seems grim presently for south african born, swiss grown Joel Untersee (21) at Fc Vaduz. His side are second to bottom in the upper tier of Switzerland. On a more positive note in terms of our own interests, Joel has featured regularly in his favoured right fullback position for his region of nurture and will hope to progress to the senior Swiss national squad after representing his country at every youth level up to the U21s. Sitting one place above Vaduz are Lugano, where we find former primavera star Anastanios Donis (7 apps, 1 goal) and Zoran Josipovic (12 apps, 1 goal). Both strikers are finding space on the field and will hope to make in-roads into the first XI as the season matures. yet as is often the case, especially with strikers, when a team is struggling they tend to rely upon experience more often than offering fresh blood a chance…that is, until the situation becomes truly dire. Our most successful front man presently out on loan is Senegalese powerhouse, Mbaye Diagne. Now 24, the tower of a man has plundered 6 goals from 9 appearances for FC Ujpest of Hungary. His is a strange case as since signing for Juve from Serie D outfit FC Bra, he has moved from France to Belgium to UAE to Belgium and most recently to Hungary. Wherever he has found himself, he has also found the net, yet it seems doubtful he has a future at Juve given his age, and the odd nature of his career journey thus far. Of a similar age yet of slightly more interest is former Lanciano star, Mama Thiam. Also of Senegalese descent, the pacy winger has proven an excellent signing for Zulte Waregem. Who sit presently well in the mix for glory in 5th place in the Belgian top flight. Big Mame has netted 5 times and has two assists from his 14 outings in the first team. Moving up a level in quality, we find Dutch attacking midfielder, Ousim Bouy at FC Zwolle. His side are enjoying a fairly decent season, and the 22 year old has made 7 appearances to date. Much was hoped for of Ouasim when signed from the Ajax youth team in 2012, and his early days out on loan at Brescia were very promising, yet disaster struck in a friendly. Suffering an ACL injury similar to the Quagliarella trauma, it took a year to return to fitness, by which time we sent him to struggling Hamburg. Where he failed to find the opportunity to impress Next was a trip to Greece where he managed his european bow with Panathianikos. And this last summer he moved back to his homeland. 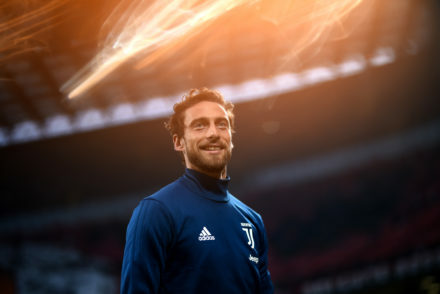 Still on Mino Raiola’s books, if he does begin to set the field ablaze with wizardry and zeal have no doubt that he will be brought to the attention of the Juve management. Likely over a glass of fine dry vino bianco whilst Mino and Pavel enjoy dinner and talk shop. Honourable mentions also for Gabriel Appelt (Leganes), Slivka (Den Bosch) and Alhassane Soumah (Videoton) who are all featuring regularly for their clubs across the continent. Back home in Italy, our colombian U20 starlet Andres Tello has broken into the team at high flying Cagliari (1st). Recently turned 19, Tello has been involved in 5 of the last 6 fixtures, picking up his first professional goal in Serie B during the 4-1 win over Trapani. Deployed as a defensive midfielder, he completed his first full match last weekend with the 0-3 drubbing of Spezia. Alongside Tello at Cagliari is fellow 19 year old Alberto Cerri. The giant Italy U21 striker has made a string of performances, and will aim to get amongst the goals as he finds his feet in Sardegna. A swathe of Juventini are involved with Livorno’s effort to gain promotion. Carlo Pinsoglio is first choice between the sticks, Andrea Schiavone and Cristian Pasquato join him as first team regulars and even young striker, Christian Bunino has managed a handful of appearances. Comparably, we find Vincenzo Fiorillo performing well on the goal line for fellow play-off chasers Pescara, with Pol Garcia (Como), Leonardo Spinazzola (Perugia)and Eric Lanini (Lanciano) all playing prominent roles in the starting XI of their respective clubs. Pozzebon leads the goal-scoring charts for the fledgling juventini. Beginning in the competition which always excites me though is yet to match my enthusiasm with results… the UEFA Youth league; where we mirror our senior sides champions leagues group and fixtures until the knockout stages, which we have yet to reach since the inception of the competition in the 13/14 campaign. Smashed in our opening match 4-1 away to Man City, we were unfortunate to then go down 0-1 at home to Seville. Finally, we picked up a victory when beating Monchengladbach at home 2-1. Then succumbed to teutonic revenge, losing 3-2 in the reverse fixture in Germany. Which leaves our situation in the group…far from ideal. 2 games left to play with only 3 points on the board. Seville are in second on 7 points, with Man City leading the charge for qualification in first with 10 points. To make it to the second stage we have to beat City at home then sneak a victory away to Seville in Spain. Neither of which look likely. Fortunes seem much improved in the league. Which finds us in 3rd spot with 16 points after 8 games played. Fiorentina are top on 20. Plenty of time to cement our place in the end of season knock-out phase. Finally we come to the coppa italia. After beating Como, Sampdoria and Spezia we will face either Genoa or local rivals Torino in the quarter finals of our side of the draw. Nicolo Pozzebon leads the scoring charts with 6 strikes from 5 games, with Favalli and Clemenza also enjoying solid seasons in front of goal. Is Fabio Grosso getting the best out a star studded pack of U19s? It still seems a bad move to have a complete novice (Grosso) in such an important role at the club, with zero history of value as a youth coach. 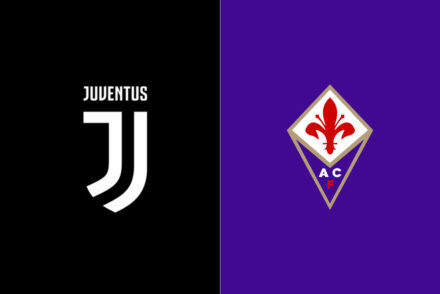 Yet if we can progress in the league and coppa italia, perhaps there remains enough to fight for to make this season an improvement on last year’s horrorshow where we failed on all fronts. Miserably. Overall, our loaned players are finding space and gaining experience whilst our U19s remain in the hunt for glory on two fronts. Its a shame we have fared terribly in Europe and I cannot help but feel that is more down to Grosso than the talent within the squad.